It’s summer again, meaning that it is time to introduce the new Biomakers iGEM project! Keep up with the team’s progress with weekly updates on this website! Take a big, deep breath in. Now breathe out. Filling your lungs with clean air is so relaxing, right? You might take a deep breath before taking a big test, while meditating, or at the end of a long day at work. However, some people live and work in environments where taking a breath, let alone a deep one, is unhealthy, exposing them to toxins in the air. One of these toxins is benzene, a carcinogen found in cigarette smoke, automobile exhaust, and industrial pollution, among other things. Gas station attendants, factory workers, and people living in inner cities are a few examples of populations that breathe this molecule in during their everyday lives and thus are more susceptible to developing lung diseases and cancer. 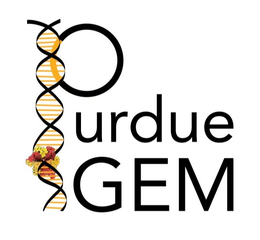 The 2017 Purdue Biomakers are working to develop probiotics to degrade benzene buildup in the lungs, preventing adverse effects of the toxin. The team is engineering the native bacterial species of the lung microbiome to break down benzene into pyruvate and acetyl-CoA, molecules used in the cell’s natural metabolism. Additionally, the Biomakers are designing a drug-delivery device, similar to an inhaler used to deliver asthma medication, in order to introduce our product to the lungs. The team hopes that the product will be used by those who are occupationally exposed to benzene, as well as smokers who are trying to quit.